Trust officials on Thursday, July 20th donated $5,000 to assist in growing the CEC, a new program at the Sanibel Community House that brings chef instruction, hands-on training and the farm-to-table message to islanders and visitors to the refurbished complex on Periwinkle Way. 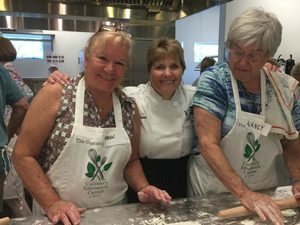 The Sanibel Community House dates to the 1920s and this year opened with some $3.5 million in upgrades and expansions that include a modernized kitchen. Other programs at the Culinary Education Center include a kids in the kitchen curriculum, growing, harvesting and cooking local foods, healthy and fun snacks, dining etiquette and quickie meals in a minute instruction, among much more including a couples in the kitchen program, cooking for one and helping area food producers grow and prosper. 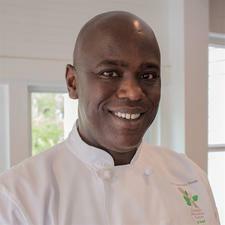 The Culinary Education Center is overseen Resident Chef Jarred Harris. Sanibel Captiva Trust Co. is a private wealth management firm that supports Sanibel and Captiva charities and nonprofits. Keep up with the Sanibel Community House at sanibelcommunityhouse.net, and the Sanibel Captiva Trust Co. at sancaptrustco.com.